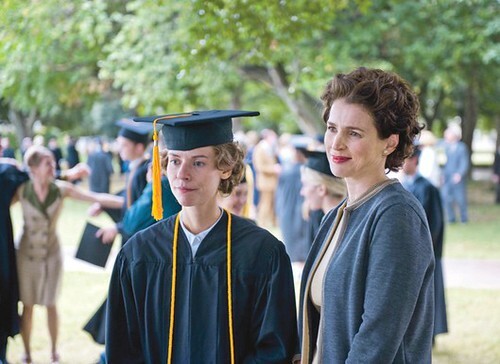 THE ACCALIMED HBO film ‘Temple Grandin’ is a good exploration of what goes on in an autistic mind. A quick search of #autistic on Facebook or Twitter will show you a long list of updates which use the word as an insult or joke. Mag Cruz Hatol, secretary general of Anak TV — an organization that is at the forefront of media education efforts and campaign to promote responsible and child-sensitive television — opined on what this phenomenon means for Filipinos as a society. “Philippine media is replete with stereotyping for as long as we can remember. Actors and directors milked laughter from audiences through comic and oftentimes insulting performances that were shamelessly prejudiced against physical deformities and mental deficiencies. In fact, local media perpetuated the idea that if people who were physically or mentally challenged were not to be pitied, they were to be made objects of laughter,” said Hatol. “It does not surprise therefore, that in small villages, one gets known by little monikers that point to peculiar traits of his physique. Consequently, the disabled either became the brunt of painful jokes (painful on the part of the subject), source of cheap entertainment (again at the expense and embarrassment of the subject) or because they were considered “punishment” for their parents’ former sins, were shackled or kept away from public view. Keeping them indoors meant avoiding the snickers of the community and lessening the chatter of neighbors who always conjectured that having bred children who bore some form of disability was nature’s way of exacting vengeance on the family for its infractions,” he added. Angels Talk asked members of Autism Society Philippines what media professionals can do to build an honest and compassionate public perception of autism. Len Macasaquit, mother of a 10-year old girl with autism, believes that “truthful, honest and more complete depiction of what people with autism go through should be pursued. Enough with physical manifestations as focus but instead explore what goes on in an autistic mind.” The HBO film “Temple Grandin” is a good example of what goes on in an autistic mind. Medina focuses her work on special children and persons with disability. She also agrees with another autism advocate, JC John Sese Cuneta, that “media professionals should first do proper and extensive research about autism spectrum before writing their reports or a new film/TV series.” This brings to mind a lot of pseudo-autistic TV/film characters that can mislead people about understanding autism. Wikipedia reports that “television programs featuring characters with autism or characteristics stereotypical of autism spectrum disorders have become commonplace, most notably in sitcoms. Series such as “The Big Bang Theory” have been criticized for their depictions of characters with ASD traits as whimsically detached, one-dimensional characters.” On the other hand, recent TV-series characters with autism were given super powers! Jake of “Touch” who never says a word but can predict future events, and Gary Bell of “Alphas” who processes information as fast as any computer. But even with well-researched TV shows/movies, autism cannot be pinned down by just one well-portrayed autistic character. People have to also understand that while we have a near-genius “Temple Grandin,” a Raymond Babbitt (from the famous movie “Rain Man”) with savant abilities in Math and memory, we also have Dafu from “Ocean Heaven” who struggles to learn basic tasks, and the non-verbal Charlie from “Black Balloon” who strips half-naked while running in the neighborhood. PORTRAYALS OF AUTISM in the media are varied, from the savant in ‘Rain Man’; those who struggle with basic tasks in ‘Ocean Heaven’; and ‘superpowered’ ones like in ‘Touch’ and ‘Alphas’. Mag Cruz Hatol and Mirana Medina will join Atty. Anna Teresa Gozon-Abrogar, president of GMA Films and GMA Network assistant corporate secretary; Ivy Lisa Mendoza, journalist and 2013 Gawad Apolinario Mabini Awardee for PWD Media Advocate; and Karen Davila, ABS-CBN news anchor and correspondent, as moderators during a panel discussion on “Autism in Media” at the 13th Philippine National Autism Conference. Themed “Hope for ‘A’ Nation,” the confab on Oct. 26 and 27 will tackle issues and experiences relevant to an autism community that is striving for acceptance and inclusion in Philippine mainstream society. This article appeared in print and online versions of the Manila Bulletin on 7 October 2013, under the by-line of Dang U. Koe, ASP Chair Emeritus.